Alabama players had big smiles on their faces Saturday after their big win over the #8 ranked Georgia Bulldogs, 38-10. Alabama fans were also hyped up after the game as "Rammer Jammer" was sung just outside the hedges of Sanford Stadium. This game will be remembered by many fans for years to come, as well Alabama players. Even Saban went to the fans to celebrate a victory that was needed at a crucial moment in Alabama's season. 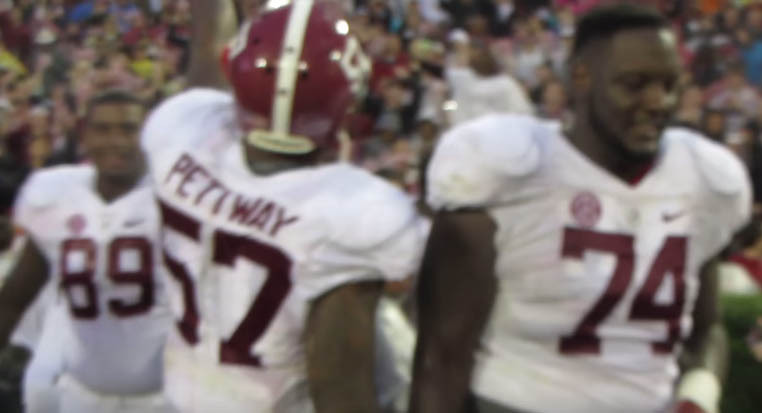 That moment is not shown in this video, but Saban said post-game that he did. He was also reportedly emotional after the game with the players. Bama may have lost one game this year, but the enthusiasm to be #1 is still there. I am looking forward to more scenes like this one, the rest of the year!